A romantic comedy in which a professional thank-you-note writer buys a house with a past and gets more than she bargained for. Elinor Lipman applies her singular brand of warm zaniness to Faith’s dilemma in On Turpentine Lane. While our heroine struggles to find love, independence and the 411 on those babies, the novel’s fast, funny dialogue keeps things light ... What is a surprise is how much drama attends this simple plan, how much goes on in even the tiniest community, how many twists and turns a seemingly ordinary life can involve. Lipman has taken lessons from our great chroniclers of the quotidian, from Geoffrey Chaucer to Jane Austen. The result, in On Turpentine Lane, provides a light but serious antidote to what ails us all these days. Rest assured that Elinor Lipman is far too canny to weigh her latest novel down in the tedium of real estate ownership. Forget the physical deficiencies of Faith’s bungalow; Lipman is more interested in the characters the new house brings out from the woodwork ... Light and tight, “On Turpentine Lane” is constructed with an almost scary mastery. Not a single thread dangles, not a single character is left without a place in Faith’s world. The story folds out and back in as neatly as an origami flower, and Faith recounts it all with a raised eyebrow and plenty of cheek ... Things fall into place, and we’re never truly meant to fear that they won’t. And yet, while Faith’s growing contentment provides a calm base for the chaos playing out around her, I found myself wishing for a little more tension. It would have helped if the object of Faith’s affection had received the kind of physicality and vividness Lipman lavishes so wonderfully on her more difficult characters ... The novel’s pleasurable uncertainties — and there are many — come from everything that whirls around that stable center. If my life ever gets rewritten as a rom-com novel, I’d want Elinor Lipman to do it; she has a way of crafting books so utterly charming that you want to set up residence inside them. And yet, in a seemingly effortless balance, she’s never saccharine, but writes in a wry, warm, we’re-all-friends-here-so-let’s-have-a-drink tone ... Lipman makes said mystery — which appears to involve dead babies and a murder plot — seems more quaintly screwball than truly threatening, and everything works out delightfully by the end. Along the way, we’re treated to Lipman’s effervescent dialogue, a plot in which everybody seems to turn up at Faith’s front door at the exact wrong — or right — moment, and a group of people with whom it’s great fun to hang. Like all of Lipman’s books, On Turpentine Lane quickly becomes a friend. 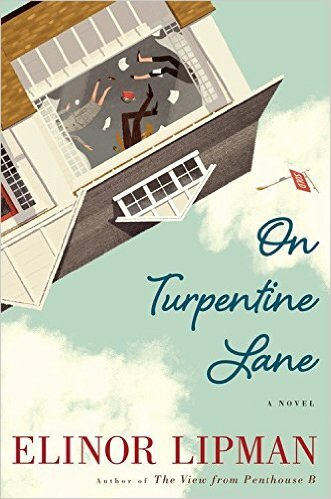 What did you think of On Turpentine Lane?